we believe everything we need to live a healthy life has been graciously provided. our commitment to natural living is reflected in every department. we are committed to sourcing non-gmo products, as well as organic and local foods. we source our fresh produce locally whenever available. the rest of our organic produce is always sourced from a california distributor. nature’s depot is located in sonora, ca in the historic train depot on standard rd. 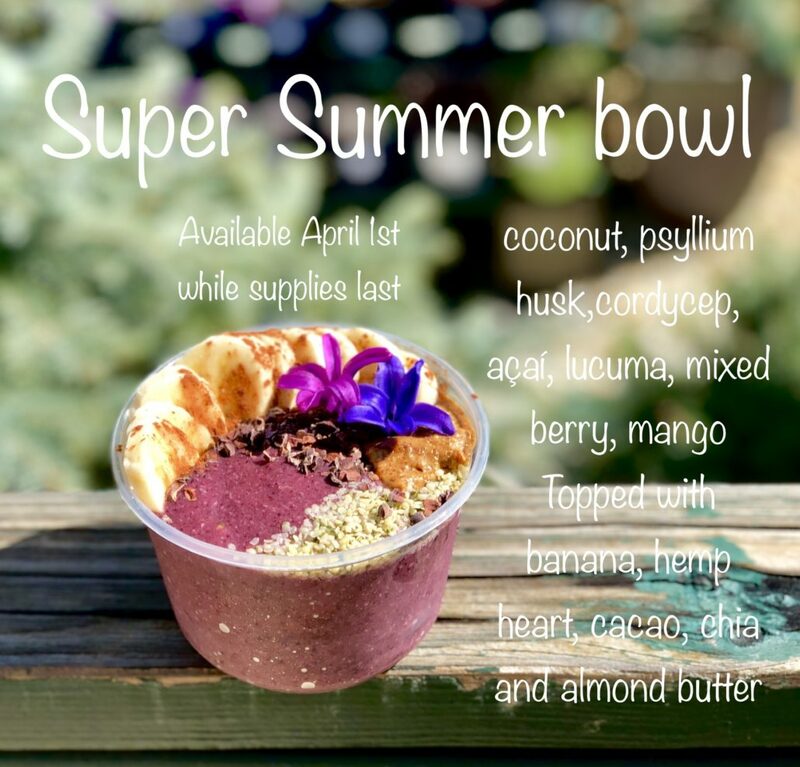 located inside the store, our all organic coffee and juice bar serves fresh pressed juices, hot and cold coffee, smoothies, chai and yerba lattes. we provide a wide variety of high quality supplements, protein, essential oils, herbs, homeopathic products and local, organic fresh produce. 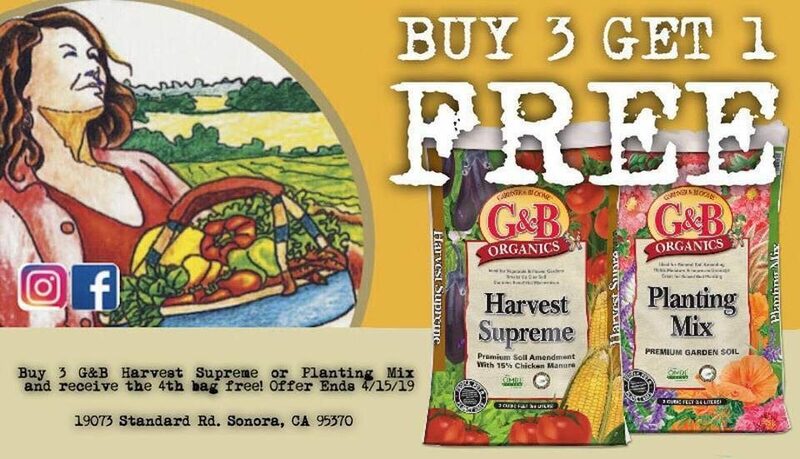 we are committed to selling quality natural products including: non-gmo, organic, wheat & gluten free, low sugar & sodium and vegetarian & vegan foods. our nursery department offers a wide variety of plants as well as organic soils, fertilizers and lawn and garden supplies for the eco-friendly gardener. we specialize in native, drought tolerant, deer resistant, and edible plants. we stay stocked year round and are happy to special order items that we don’t regularly carry. Come in and talk to our friendly staff for all of your market & garden needs. we offer organic, non-GMO, gluten-free, dairy-free, vegan and more to meet your individual dietary needs. 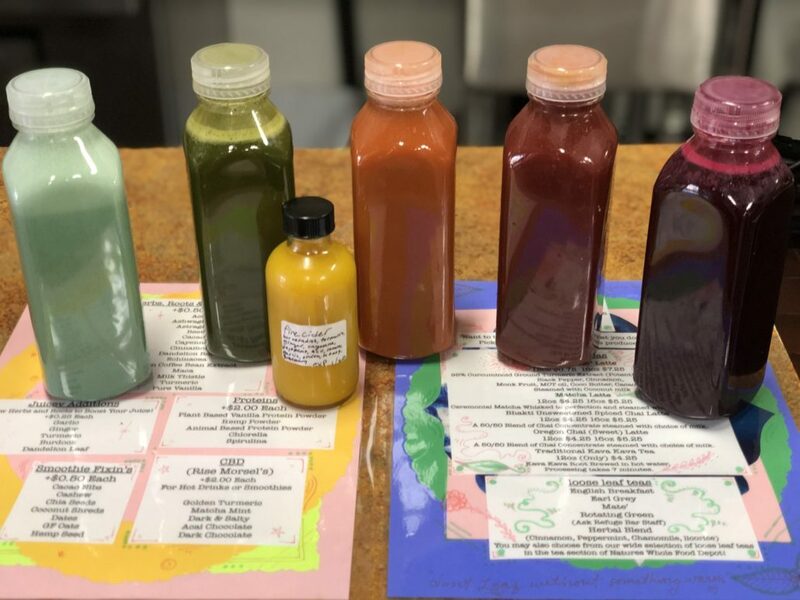 Beginning Monday April 1st Nature’s Whole Food Depot’s Refuge Juice Bar will be offering juice cleanses! Welcome in the season with a Self Care Cleanse. Cleanses are energetically, physically, emotionally, vibrationally and spirituality healing. The benefit of Resting your digestive system is, but not limited to giving the rest of your body the energy it takes to process food in order to reboot the immune system, detoxify and purge those unnecessary cravings and negative thought patterns. A juice cleanse loads your body with bioavailable nutrient density. Come see us at the Refuge! Sign up for exclusive email only sales!